Designed for Hunters and Shooters, LaserBallistics LRFs help you Shoot like a Pro! Using Bluetooth pairs with any ATN Smart HD Scope (2nd gen or higher) for instant Point of Impact Corrections. Pairs with your phone/tablet to provide instant Turret Adjustments for your traditional Rifle Scope. Magnification 6x View angle 7.2° Precision to ± 1 y/m Range 5-1000 y/m Bluetooth 4.1 Smart Phone Applications Android or iOS Environmental rating Waterproof Pairs with Smart HD Obsid.. The RX-1600i TBR/W with DNA is a workhorse ready for any hunt. It delivers the farthest, most accurate ranging in its class — out to 1,600 yards — and uses our True Ballistic Range/Wind for greater first-shot success. It doesn’t matter if you’re carrying a rifle or a bow this season, you’ll want to carry an RX-1600i TBR/W, too Weight (oz) 7.8 Linear FOV (ft/1000 yd) - High 315 Linear FOV (m/1000 m) - High 105 Twilight Factor High 11.5 Eye Relief (mm) - Hi.. If smaller means better, then Nikon’s all-new ACULON Rangefinder is at the top of its class. With its ultra-compact size (3.6”x2.9”x1.5), this new rangefinder redefines “portability” and is small enough to rival most smartphones. Weighing just 4.4 ounces (without batteries), the ACULON Rangefinder is built to be taken everywhere. Displays in 1-yard Increments True 550-yard Ranging Capability Easy-to-View Uncluttered LCD Display Single Button Operation Ultra-Compact Size Water Res.. This handheld rangefinder comes with a wrist-strap lanyard for simple transport and is equipped with only 2 buttons, RANGE and MODE, for intuitive use. The device features Line of Sight, Angle Modified Range and Scan modes, and the twist-up eyecups promote comfortable viewing. Lightwave DSP tech delivers the performance you need for sighting in on long-distance objects. 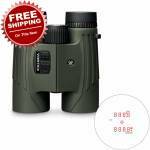 Features and Benefits Twist-up eyecups for comfortable viewing Line of Sight, Angle Modified Range and Scan modes Handh.. 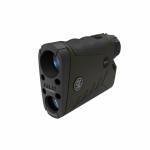 The lightweight Copperhead 1500 is an easy to use rangefinder with a clean display and highly intuitive menu that quickly and accurately ranges targets from 9 to 1500 yards. The Primary Horizontal Component Distance (HCD) mode provides an angle–compensated distance reading because we know you don’t always hunt on flat ground. Three brightness settings coupled with fully multi-coated lenses deliver maximum light transmission and easy viewing in varying light conditions. Add o-ring seals and yo..
Two of the most important pieces of hunting gear combined into one powerful, long-ranging unit, Fury HD 5000 rangefinding binoculars make glassing and ranging ultra-fast and efficient. Right-side button controls make one-handed manipulation of both functions quick and easy, cutting down on set up time in the field. And don't forget—these Fury HD 5000 binoculars join all other Vortex® products in that they are completely covered by our unbeatable VIP Warranty, and that includes electronic compone.. Capable of ranging targets to 1,800 yards, the Ranger 1800 gives hunters and shooters the distance data needed to make accurate shots. Primary HCD (Horizontal Component Distance) mode displays an angle-compensated distance reading. Easy to use with a clean display and highly intuitive menu, the Ranger 1800 keeps things simple, yet provides a high level of performance. Fully multi-coated lenses deliver optimal light transmission and o-rings seal the Ranger 1800 for waterproof performance. 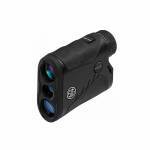 Can ..
SIG SAUER Electro-Optics transforms hunting with the unprecedented simplicity and accuracy of BDX. The KILO BDX rangefinders use your ballistics and Bluetooth® to illuminate the exact holdover dot in SIERRA3BDX riflescopes. 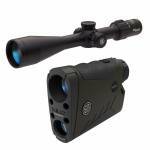 For the most accurate and ethical shot, just Connect The Dot This listing is for the combo of Riflescope and Rangefinder ..
SIG SAUER Electro-Optics transforms hunting with the unprecedented simplicity and accuracy of BDX. The KILO BDX rangefinders use your ballistics and Bluetooth® to illuminate the exact holdover dot in SIERRA3BDX riflescopes. 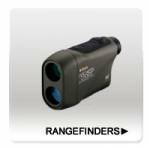 For the most accurate and ethical shot, just Connect The Dot This listing is for the KILO Rangefinder Only (Riflescope not Included) ..
SIG SAUER Electro-Optics transforms hunting with the unprecedented simplicity and accuracy of BDX. The KILO BDX rangefinders use your ballistics and Bluetooth® to illuminate the exact holdover dot in SIERRA3BDX riflescopes. For the most accurate and ethical shot, just Connect The Dot This listing is for the combo of Riflescope 4-14x44 and Rangefinder 1800 .. 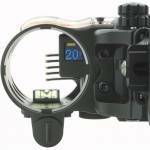 This bow sight has a built in range finder. Never guess again about the distance of your target. OLED Display with blue yardage and yellow battery indicator 2 min scan mode External trigger with adhesive Separate red dot visible laser for calibration Cr2 battery Yardage displayed is always horizontal distance (angle compensation built-in) 5 pin model only - .019 pins Range up to 99 yards Weight: 18.25oz .. Equipped with E.S.P. (Extreme. Speed. 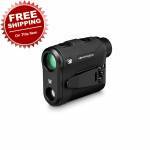 Precision) Turboprocessor the all-new G-Force 1300 ARC is a performance-enhanced version of the most accurate laser rangefinder system in the world - Bushnell ARC. It delivers 1/2-yard accuracy and 1/10-yard display precision. With Vivid Display Technology (VDT) you get bright clear distance readings even in low light with an effective range of 5 to 1 300 yards. ARC Bow and Rifle Modes make you deadly accurate in all seasons and terrain. And its rubber-armor.. Capable of ranging targets to 1,300 yards, the Ranger 1300 gives hunters and shooters the distance data needed to make accurate shots. Primary HCD (Horizontal Component Distance) mode displays an angle-compensated distance reading. Easy to use with a clean display and highly intuitive menu, the Ranger 1300 keeps things simple, yet provides a high level of performance. Fully multi-coated lenses deliver optimal light transmission and o-rings seal the Ranger 1000 for waterproof performance. 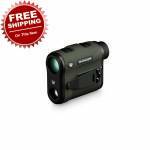 Can be ..
Wildgame 450yd Halo Laser Rangefinder. Maximum of 450 yards to reflective target 6X Magnification AI Technology accounts for slope to the target Scan Mode allows for constant ranging Precise to +/- one yard ..